This The Legend of Zelda (Majora's Mask) Gym Bag features Link from the popular Majora's Mask game, and is the ideal gift for The Legend of Zelda fans. 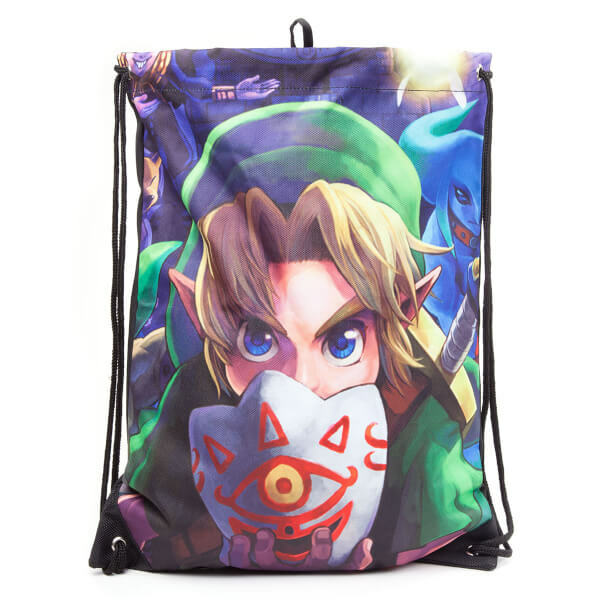 Featuring a print of Link from The Legend of Zelda: Majora's Mask, this backpack is the perfect gift for The Legend of Zelda fans. Bag seems pretty good. Nice printing on material, not too expensive. Can't say how sturdy it is yet as my son is using it next term for his PE kit. 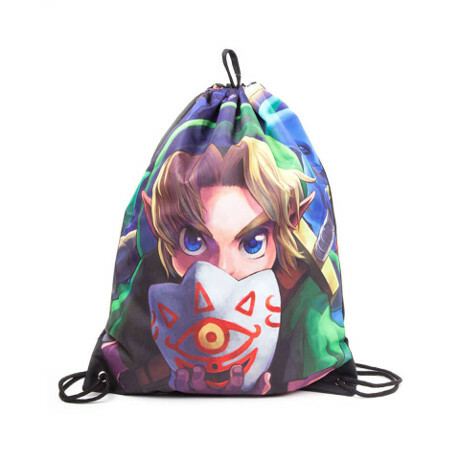 The best (only) Zelda drawstring bag I've seen.